Experience the beauty of the people and country of Thailand. Whether you have 2 weeks or 12 to spare, Thailand is the ideal destination. Travel that will change you. Land of smiles … and bustling Bangkok……and beautiful beaches. But there is another Thailand – a simpler, gentler land, full of warm people in tune with the rhythms of rural life. Here the hill tribes (peoples whose origins may lie in China, Burma or Laos) and the rural Thais live alongside one another. Their children share the same school but, since not all hill tribe children attract government funding, the schools need help with spoken English. Thailand’s English syllabus is entirely written and only a few can actually speak the language. Volunteering in Thailand with Africa & Asia Venture (AV), you can go straight to the heart of this wonderful country full of astonishing beauty – natural, human and architectural. Our projects in this beautiful part of South East Asia, will see you located in Ban Thaton, about one and a half hours’ drive west from Chiang Rai, or three hours’ north of Chiang Mai. Ban Thaton nestles in the Fang Valley, very close to the border with Myanmar (Burma). The valley forms a bowl full of orange groves and paddy fields, whilst the river, once the ‘road’ when boats were the main transport, still frequently provides the quickest way between villages. The villages we work with are in the foothills at the edge of the bowl. The hill tribes (peoples whose origins may lie in China, Burma or Laos) and the rural Thais rub happily along together. Living and working in their communities is a truly unique experience. Teaching among the Hill Tribes on the Burma Border. Our gap year projects and volunteering opportunities in Thailand join forces with the Maekok River Village Project in the Fang Valley. You can volunteer at primary or middle schools among children who come from that Thai village and from nearby hill tribe villages. You can choose what activities you’d like to be involved in. After teaching, why not explore south east Asia. There are no really bad times to visit Thailand. The dry months in December-February are bright and sunny, but many brush fires make for a smoky haze. In the rainy season much of the day is sunny and the paddy fields are bright green. There are too many festivals to mention – Thais don’t need much of an excuse to have fun! 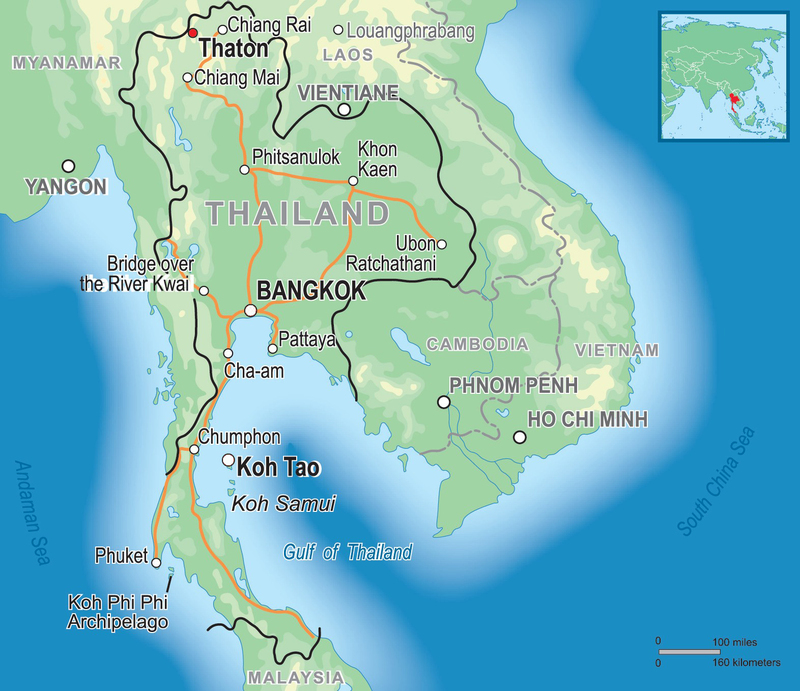 Oh, and Koh Tao is next to Koh Phangan, home to the world-famous Full Moon Party! Food in the non-tourist areas is cheap and actually not that expensive where tourists abound. There are some good low cost flights around the region. You can spend more in smart hotels, as you will if you party a lot. The atmosphere in the Maekok villages is relaxed and there are few security threats. In the tourist areas in the south, especially in the bars and on the beaches, you will need to be more on your guard. Bryan and Rosie Massingham are our in-country representatives and will be responsible for sorting out any problems you have during you time with AV. They are based in the Maekok River Village Resort, Tha Ton.